Policy makers and advisers, leaders in organisations in the public and private sector, futurists and anyone with an interest in change and planning in society at large. A practical strategy for transforming the UK and other healthcare systems... offering an affordable, sustainable and compassionate alternative to the present mess. Healthcare systems across the developed world are in trouble. Changing patterns of disease, an ageing population and advances in drugs and technology feed an inexorable rise in costs outrunning our best efforts to contain them. At a human level the system is coming under intolerable strain. Demands for cost savings squeeze out the time and humanity needed for good care and quality relationships. Safety suffers. Staff become demoralised, stressed and burned out. In the first two parts of Humanising Healthcare and focusing on the UK's National Health Service, Dr Hannah explores the fundamental assumptions which have brought us to this point and which likewise inform our current inadequate responses. She dissects the burgeoning regime of regulation and inspection that tries to impose ever tighter controls on a healthcare system that needs to be freed to serve its citizen patients. In the final part of the book, ‘Another Way Is Possible’, Dr Margaret Hannah offers a practical alternative strategy based on numerous examples of transformative practice from the UK and around the world. It promises a sustainable culture of healthcare that will enable us all to live healthy, fulfilled lives at a fraction of the current cost. 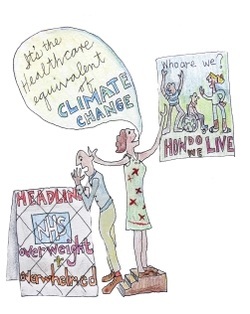 Humanising Healthcare is exquisitely illustrated by artist and IFF member Jennifer Williams. "Contemporary medicine has lost sight of the central role of human relationships within healthcare. 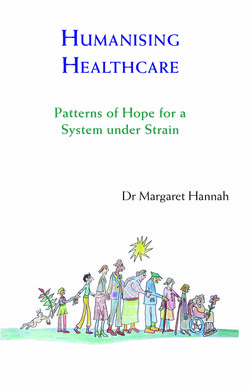 In this profoundly important book, Margaret Hannah explores both the destructive effects of this loss and the ways in which strong interpersonal relationships can be recreated and once again become the foundation of appropriate and affordable healthcare." 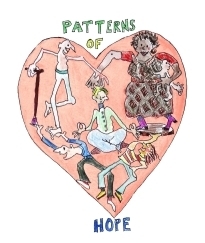 "This book has the potential to shake to the foundations our system of healthcare. Individuals and communities hold in their own hands many of the answers to preventing disease and promoting health and well-being. This book brings hope and a very practical plan for a sustainable, effective, efficient, health system." "It is a sad truth that healthcare systems across the world are often not accessed by those who need them most, don’t work as well as they could and are increasingly unaffordable. This book provides an excellent and extremely readable account exploring the underlying issues. Importantly, it also contains exciting ideas as to how we might do better in the future."